Here comes another glorific song from the stable of ONOSARIYO titled: "Your name" After the successful release of her “Songs From The Place Of Prayer” Album in July 2017 with 3 new videos, Award winning Nigerian Gospel Artiste, ONOS commenced a worship experience on Instagram which holds on Mondays and Thursdays and last week Monday, the 5th of February. She kicked off with the 1st Edition of BREATHE (lnhale Inspiration and Exhale Divine Expression) – a monthly worship meeting with ONOS. These meetings have inspired great songs, one of which is the brand new single “YOUR NAME” produced by Ekelly. 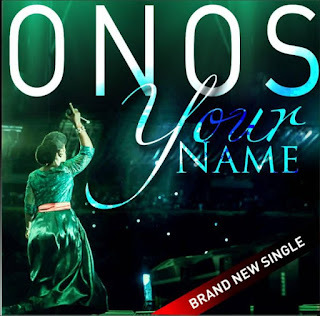 Once again, ONOS delivers another exceptional worship tune, It’s all about the great and powerful name – JESUS.